The blogosphere has been having some fun with bread lately. Which is welcome news to those of us who love bread! After years of bread being demonized by everything from the Atkins diet to low carb diets to the whole gluten-free fad, it is nice to see some balanced discussion on the subject. Three articles really hit home with me in May. The Wall Street Journal did a piece entitled Can You Carbo-Load Your Way to Good Health? And actually concluded the answer was yes. In its wake, the Gothamist published a piece called Fresh Milled Bread Movement Might Make America’s Bread Great Again. The opening sentence basically said bread is a wonderful food . . . The third article, by Hannah Keyser, is another follow up to the WSJ piece, titled Is the Healthy Bread Fad Worth the Effort? The interesting connection between the three articles, other than the obvious bread tie-in, is that they all focus on fresh milled whole grain flour as the base for this new bread movement. 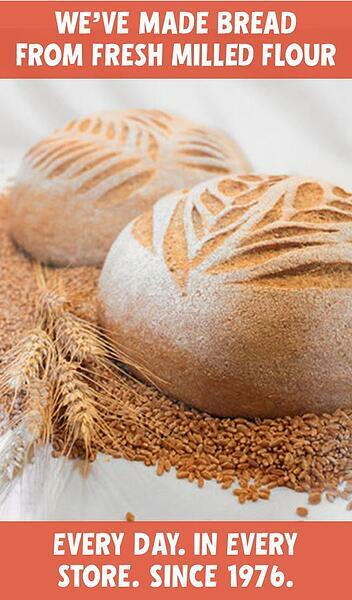 The first two address the trend toward using locally milled flour in whole grain form. The third focuses more on the impracticality of making one’s own bread from fresh milled flour, specifically citing the “10,000-pound stone mill,” and a 38-page bread recipe from the Tartine Bread cookbook. Most people “know” that whole wheat bread is good for you. Most people “know” that white flour is not. And unfortunately, most people “think” white flour bread tastes better. If that weren’t the case, white flour breads would not have had the sales success that they have had. And, when I eat or watch reactions to our Cinnamon Chip bread, which is one of our few white flour products, I understand the appeal of white flour. But that isn’t what is driving all of this discussion. That people are getting their wheat in raw berry form and milling, or grinding, it by themselves instead of buying traditional, pre-milled flour is. The theory is that milling your own flour is better. Tastier. Healthier. More local. All good things, as we at Great Harvest well know. But as the third article asks, is it worth it? To this, we unreservedly say: YES!! If you know anything about Great Harvest, you know we are bread-centric. Yes, we are rapidly evolving from standalone bread stores to bakery cafes, but we are doing that by focusing on ways to serve you products made with our fabulous baked goods without losing an ounce of quality. All that we do and make is with the same methods, values, and quality Great Harvest is known for. Our elevator speech always starts with, “We mill our own flour. Daily. We bake everything from scratch. By hand. Daily. We never use dough conditioners or additives. We know where our wheat comes from because we use the same local Montana family farms to source our wheat year after year.“ So how is this healthy bread fad new? Well, to us, it isn’t. It describes what we have done every day in every store since we opened our doors in 1976. 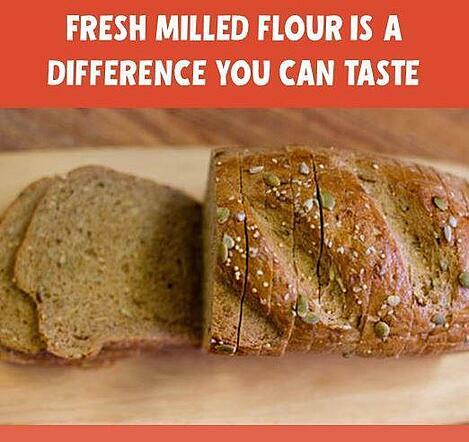 What is new is that more people are finally understanding that the benefits of fresh milled flour are real. Freshly milled flour does taste better (I know that is subjective), it is healthier (data on this is hard to come by but what little there is says yes, and this is intuitively correct) and, in most ways, it is more local. 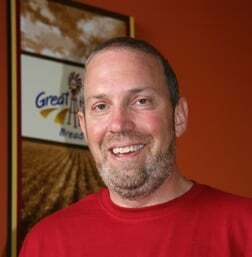 The local question is always hard for us because all of the wheat used across the Great Harvest franchise comes from Montana, near our home office. Is that local to the east coast? Not physically. But spiritually it is local in the sense that we know the farmers and if you walk into any Great Harvest and ask where the wheat came from we can tell you which field on which farm and which harvest for every single kernel of wheat in our system. But back to Keyser’s question about making healthy bread from fresh milled whole wheat: “Is it worth it?” The arguments made against it are that making bread this way is too expensive (it does cost more, but then, so does craft beer) and that it’s not worth all the effort. It’s true; it would be challenging to tackle at home as a DIY project. 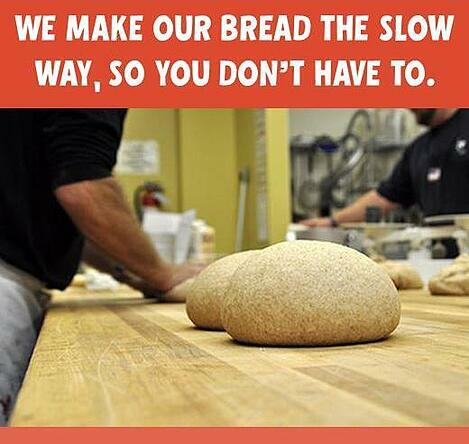 Luckily, thanks to Great Harvest, you can have healthy, fresh milled, handmade bread without having to go to the trouble of making it yourself. Is fresh milled bread here to stay? Yes. If there is one thing that is true across different theories about what makes a proper diet, it is that the more natural and less processed your food is, the healthier your diet. Fresh, locally milled whole wheat flour fits that to a tee. Will more and more people do it? Yes. Does that mean competition for us? Yes, but we already have that. And, if more people are aware of the health benefits of fresh milled flour, the market gets bigger, and we no longer have to explain to people why we mill our flour. Instead, we can concentrate on letting more people know that we do — and that we have been doing it since 1976. Is it a Good Time to Be in The Bread Business? Bread is Back – Again! Breadmaking: Why Don’t We Take the Easy Way? Why Great Harvest is Bread. The Way It Ought To Be.